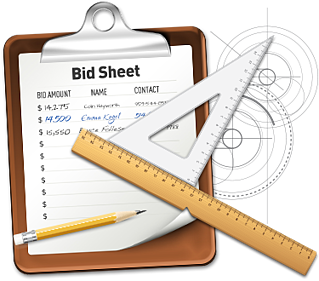 When browsing your silent auction tables, the accompanying bid sheet can have a great deal of influence over a donor’s decision to place a bid. Are your sheets easy to use? Do they clearly list pertinent information and encourage quick, anonymous participation? 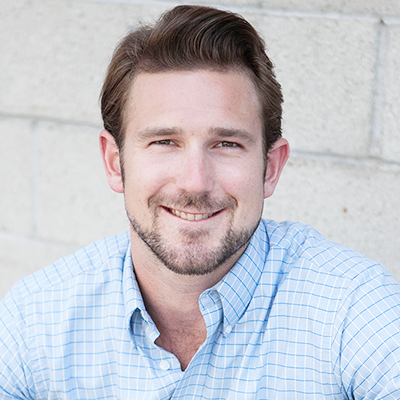 Confusing, outdated and overcrowded bid sheets can slow down the process and hurt bidding. 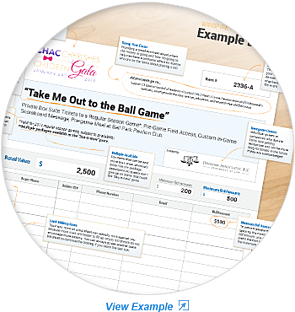 First, label all bid sheets with your organization’s name or event logo. Doing so reminds donors they're not just purchasing an item - they're supporting an incredible cause with each bid. If you have room, try to fit in a little blurb about where the money is going and how it is specifically going to help. These small reminders can have a profound affect on donors who are on the fence about placing a bid for a particular item, or bump up bids to the next level. To make the auction smoother for both donors and committee members, include a tracking number with each item. Having a number to reference helps winning bidders confirm the item they won during checkout, plus saves your committee time when recording the winning bids. The item title is likely the first thing guests notice when they approach a silent auction bid sheet. Make sure the title is big, bold and clear. If you can, come up with a catchy or clever name for items - this can go a long way to helping guests remember their favorite items, then go back and bid more. Your description should include a brief and creative paragraph stating what the item is or what is included; restrictions such as expiration dates, exclusions or price caps; and location (if relevant). If packages include more than one component, include details and descriptions for all of the items included. If this is too much information to include on one page with space for bidding, it's fine to put this on a separate display sheet. It's always a good idea to acknowledge the individuals and companies who donated or underwrote items for the event. The donors who actually attend the event will be pleased to find their company name or logo on the bid sheets, and the added recognition may help you secure donations from them in the future. The starting bid and the minimum bid increment should be easy for passerbys to spot at a glance. Including a fair starting bid is key to preventing valuable items being given away for a song. The minimum bid increment also helps encourage more generous bidding, rather than "nickel and dime" bidding that goes up dollar by dollar. You might also pre-fill the bid sheet with increments to ensure people don't ignore the minimum bid increment; we've done so for you in our bid sheet templates. Finally, you might be wondering if you should include retail value on marketing materials like bid sheets and displays. The answer is: It depends. We typically recommend omitting retail value to avoid creating a "glass ceiling" of how far donors are willing to bid. More often than not, focusing on a fair starting bid is more effective than listing retail values. But there might be cases in which showing the retail value increases its perceived value for your guests. It might seem like a good idea to include numerous rows on your bid sheet in case there are many people wanting to bid. However, this can actually make an item seem less desirable. Empty bid sheets do not encourage more bidding! On the other hand, an item that has a full bid sheet will appear more sought-after, which will then motivate other attendees to bid. How many rows you have might depend on the number of auction items and attendees, but including 12-15 rows (like in our templates) is generally a safe bet. Including a Buy Now option means providing a set price bidders can pay to immediately win an item. Any bid in the "Buy Now" section stops all regular bidding and automatically becomes the winning bid amount, so the price you choose should be one you'd be very happy with receiving (think 100 to 150 percent of retail value). Buy Now can increase excitement among bidders and is best suited for high value or highly desirable auction items. For items that can be sold only once, there should be one space under the "Buy-Now" section for a guest to enter their final bid and bidder information. As soon as a bidder enters a "Buy-Now" submission, you can pull the bidding sheet, and bidding is over. When items can be sold more than once - such as Winspire Experiences - you can leave a few spaces open for multiple bidders to make "Buy Now" purchases. In some cases, you can have entire bid sheets dedicated to "Buy Now", but this should be reserved for packages you know will generate a lot of interest. 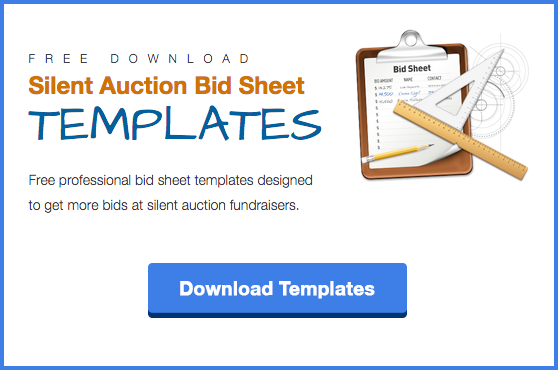 A good silent auction bid sheet can make a huge difference in your fundraising efforts. 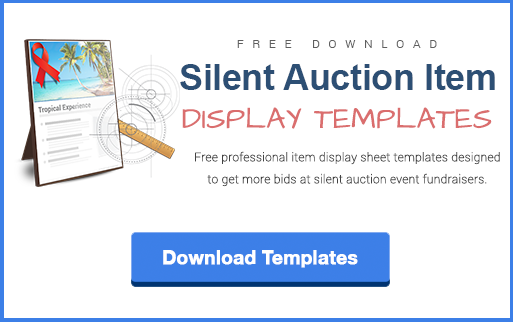 Encourage more bidding among donors with Winspire's FREE professional silent auction bid sheet templates - clear, concise bid sheets with all of the information your guests want to know before placing their bids.